Just a few weeks ago was the second time I was able to travel. Brooke, Ortho2’s Multimedia Marketing Coordinator, and I were able to attend Inbound, a four-day conference hosted by HubSpot, the marketing and sales platform we use at Ortho2. The conference not only taught us about marketing and sales trends, but also about how to make use of Hubspot’s many features. We came back from the conference with a renewed energy and focus on how we could make things better for our customers and us. We have shared our ideas with our team and have plans to make sure we incorporate what we learned into our daily duties. So what do these two trips have in common? After attending both, it reinforces why I think you should attend a meeting your software company puts on. Obviously as an employee of Ortho2, I think you should attend the Ortho2 UGM! However, after attending a conference put on by software we use, I really can tell you why you should consider attending. A common theme from the conference was: If you don’t continue to learn you will fall behind. This is in terms of your own knowledge and information you can share with your company. With more than 40 classes to pick from, your chances of learning something new are great. You might think, “How does that apply to me?” Honestly, sometimes the answer might be it doesn’t. However, the tiniest comment, image, or thought could spark something that does apply to you or someone on your team. One of the speakers at Inbound talked about fiberglass pools throughout his presentation. And if you don’t know, pools aren’t necessarily commonplace in the Midwest. But, I learned how he markets and sells pools, and the general ideas can be used in any industry. 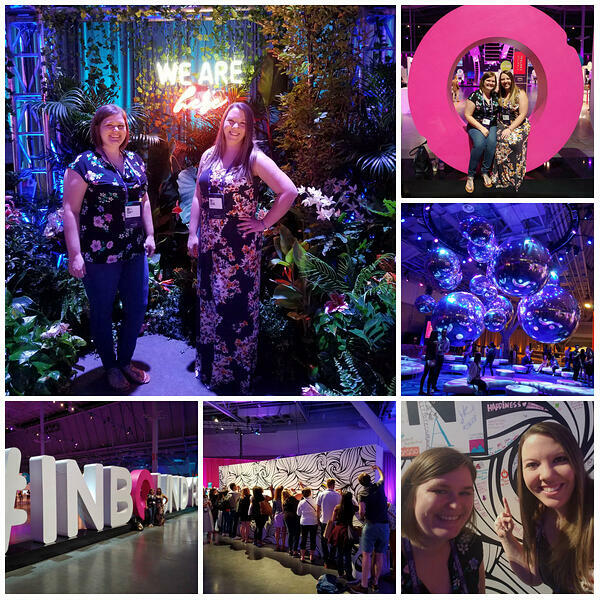 We saw a lot of great speakers including keynotes such as Shonda Rhimes, Alex Rodriguez, and Lena Waithe. I even got to shake A-Rod's hand! 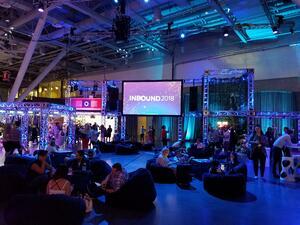 Inbound was a conference that 24,000 people from more than 100 countries attended. Needless to say, I didn’t find anyone else in the orthodontic industry to talk about problems and solutions with. But that isn’t the case at the UGM. Everyone in attendance has something to do with orthodontics. There is a good chance someone else is facing the same, or similar, problem you are. Lunch or the time in between classes is the perfect opportunity to get off your phone and talk to the person sitting next to you. You never know who might have the answer to your question. It’s fun. You aren’t in classes the entire conference. There are times where you get to explore the host city, sample the local fare, or even take a night out with your colleagues. It’s a chance to team build in a way you can’t do so in your office. I hope after seeing what can come out of a ‘software conference’, you will send your team to the UGM. It is truly an experience that will lead your team to renewed enthusiasm, ideas to help your office grow, and fun for everyone.